Welcome to the Center for Public Policy Analysis (CPPA) Website. U.S. Capitol, US Congress,Washington, DC (Photo courtesy David Iliff,license CC-Creative Commons). Photo license courtesy of, attribution to, David Iliff, GNU Free Documenation License , License Creative Commons, use of this photo, and license(s) does not constitute endorsement of this site by the author or licensor(s). The general public and policymakers, including those in Washington, D.C. and internationally, continue to need to have access to in-depth research and analysis of information regarding key issues, including many that are often overlooked, especially from a fresh, innovative and time-sensitive perspective. Founded over 20 years ago in the nation's capital, the Center for Public Policy Analysis (CPPA or Centre for Public Policy Analysis) brings important new ideas and experience to the public affairs arena. 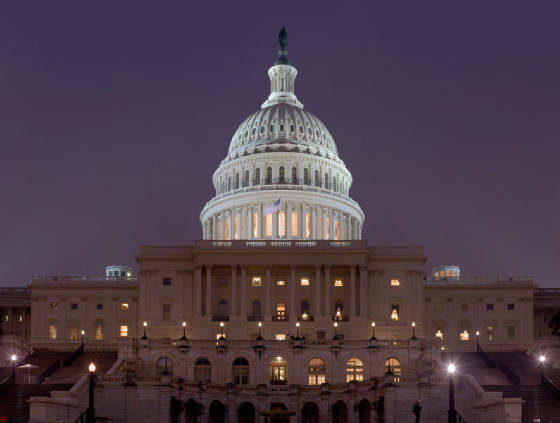 Established in Washington, D.C. in 1988, we at the CPPA care about, and are working on, breaking public policy issues of local, national and international concern. We continue to research and analyze issues from perspectives that are often overlooked. Our research, analysis and ideas continue to make a difference and assist in finding solutions for critical problems. We help educate the general public and policymakers and help shape and change public policy direction locally, regionally and nationally in Washington, D.C. and in key regions internationally. We at the CPPA also seek to let other people know about how they can join in and make all of our lives better. Since 1988, the CPPA has provided field research on foreign policy issues ranging from Afghanistan to Laos, to Eastern Europe and the Far East. The Center for Public Policy has been asked to provide information, research and analysis to Members of Congress, the Federal Executive Branch, international non-governmental organizations (NGOs), including humanitarian and human rights organizations. We have organized numerous research missions and dispatched research teams and monitors to hot-spots and crisis locations around the globe. We have hosted, cosponsored and spoken at press conferences, national policy forums, U.S. Congressional forums, U.S. Congressional briefings, national policy conferences and U.S. Congressional hearings. The CPPA frequently helps to cosponsor and host events across the United States and in Washington, D.C. in the U.S. Congress, Library of Congress, Federal Executive branch agencies, universities, colleges and other venues. The CPPA's cause is simply to provide the best and most timely research, information and analysis to the general public and policymakers on key public policy issues, especially those pertaining to national security and foreign policy issues. Some 38 million visitors, and counting. The Center for Public Policy Analysis (CPPA - or Centre for Public Policy Analysis ) is a Washington, DC-based, non-profit, research organization and think tank focused on foreign policy, human rights and national security issues. The CPPA provides in-depth research, education and develops deeper awareness of key public policy issues of concern to national and international policymakers and the general public. The Center for Public Policy Analysis is dedicated to research, analysis, education and developing awareness of many of the key public policy issues of our time. We work with other non-governmental organizations (NGOs), policymakers as well as the general public to achieve our goals. We have conducted innovative and ground-breaking research and activties in cooperation with Members of Congress, current and retired Administration and United Nations' officials, international humanitarian organizations, scholars, experts, educational institutions, students, researchers, advocacy groups and others .